The skull, it's a costume staple. There are hundreds of ways to portray skulls and skeletons, even if you stick with the human species. There are dancing skeletons, cartoonish with top hats and walking sticks, tapping across a red-curtained stage. There are the realistic skulls, held by a man reciting Shakespeare, silently answering questions with its empty eyes. There are colorful skulls painted with red, yellow, and orange for the Day of the Dead. There's literally a skull for everyone! Except, maybe, the headless horseman. This skull has a new image. It seems to belong to the digital age like it was created by some force of the world wide web. Who knows why the internet wants its own version of the skull? After all, once in that vortex doesn't information just float around for eternity? Maybe the internet just wants to be like us humans, fixated on mortality. Hmm, we didn't think we'd see the internet would go through an emo phase but the least you can do is go along for the ride! 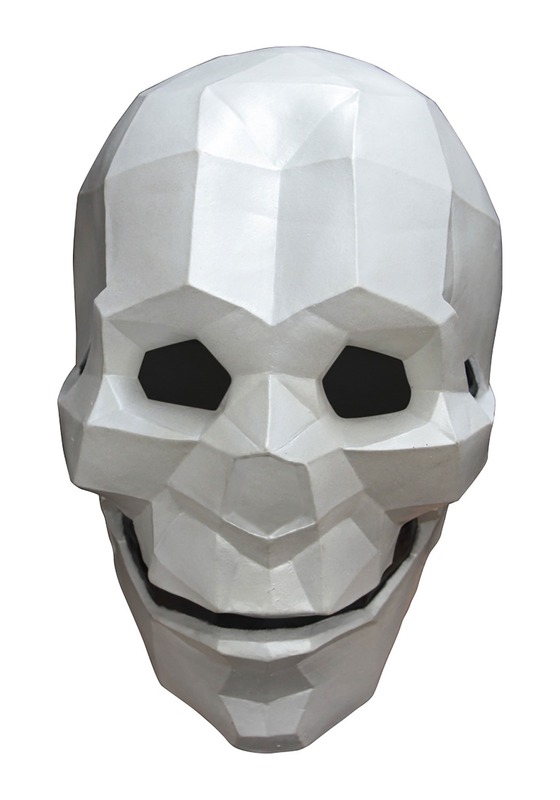 After all doesn't a digital age call for a digital take on an old standard, the skull.